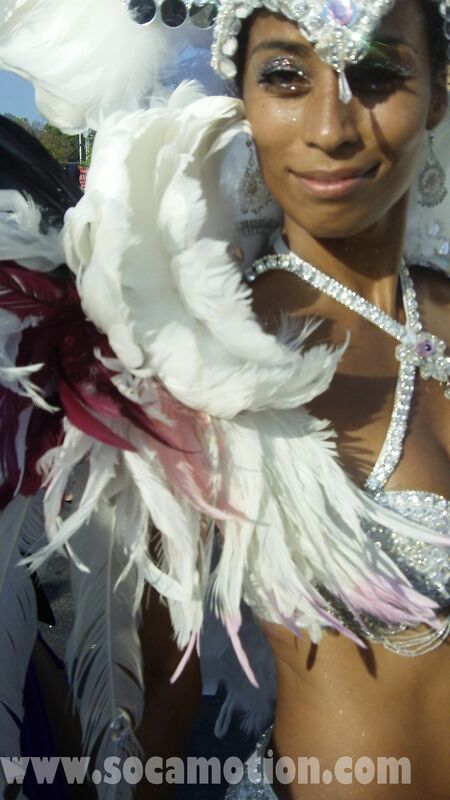 “MY FIRST CARNIVAL IN TRINIDAD” by La Toya Sutton. I was unprepared for Trinidad Carnival. Not quite literally, I had travel arrangements and accommodations perfected in advance, arrangements for costume pick up – very important for the overseas reveller – and a suitcase stuffed with short pants, shiny tights, sunscreen, comfortable shoes, sparkling body glitter, and, of course, something to wave. I thought checking things off this list would prepare me for this amazing event I was about to participate in. What I wasn’t prepared for was how fulfilled and happy this experience would make me feel. It wasn’t just about partying from night til dawn or the all you can drink privileges that come with being part of a band. It was the emotional connection of being part of a cultural phenomenon that clearly plays a key part in the lives of almost everyone we met that took my breath away. For that, I was not prepared.